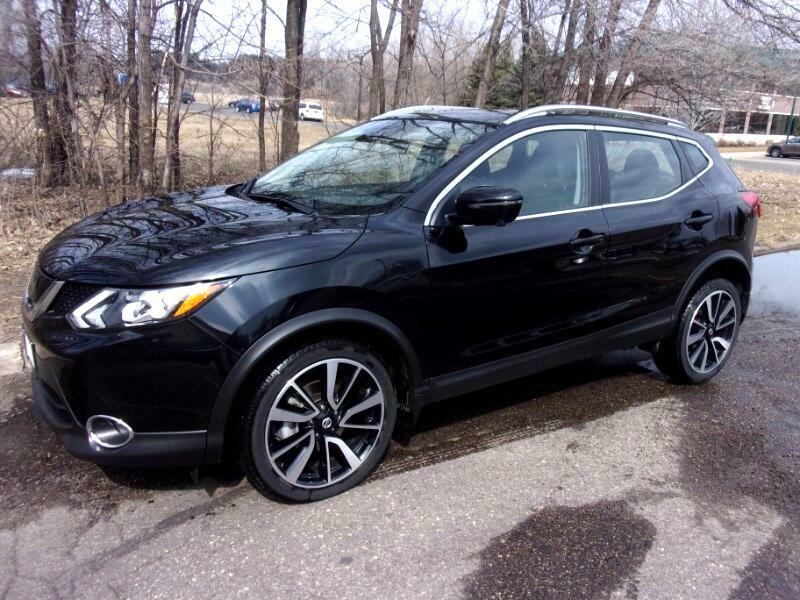 Used 2017 Nissan Rogue Sport SL AWD for Sale in Vadnais Heights MN 55110 Integrity Autosource Inc.
LOADED ALL WHEEL DRIVE PLATINUM PACKAGE WITH FACTORY BUMPER TO BUMPER WARRANTY! CARFAX CERTIFIED ACCIDENT FREE ONE OWNER LEASE RETURN! IN LIKE NEW CONDITION AND STILL FULLY COVERED BY NISSAN BUMPER TO BUMPER WARRANTY! LOADED SL PLATINUM PACKAGE WITH FORWARD EMERGENCY BRAKING, BLIND SPOT MONITOR, LANE DEPARTURE PREVENTION, LEATHER INTERIOR, HEATED FRONT SEATS, NAVIGATION, BACK UP CAMERA, BLUETOOTH PHONE CONNECTIVITY WITH STREAMING AUDIO AND MORE. WE TAKE TRADE INS AND HAVE GREAT FINANCING TOO. IN BUSINESS IN THE SAME LOCATION SINCE 1996. Message: Thought you might be interested in this 2017 Nissan Rogue Sport.